PestNZ’s Mike Wills thought he’s seen it all. Dealing with cockroaches is all part of his job as PestNZ’s Owner and Service Technician and – but what happened during a visit to a Tauranga home stunned the experienced bug expert. He was carrying out a treatment for spiders and cockroaches at the rural property when hundreds of large cockroaches began to fall from the ceiling. “It was like a scene out of a movie. They came rushing out of the ceiling space. There were literally thousands of them falling down around me. “I’ve never seen anything like this before,” he added. Mike said although the situation was unusual, high numbers of New Zealand native cockroaches could be found in a property when all the conditions were right. A visit by PestNZ could bring peace of mind, he added. Problems can occur with overhanging branches, which give the roaches an easy path onto a roof. Poor maintenance around a property and cracks in external walls can also encourage cockroaches, Mike added. But it’s not just the native cockroach that has been keeping Mike busy over summer. In Auckland he had to deal with an infestation of American cockroaches on commercial premises. Mike says the American roach is a particularly unpleasant critter. “They can fly a short distance and they hang out under the ground in pretty grubby places, such as drains. The roaches had invaded a bait station he’d put down to deal with a rat problem. “They were swarming in the bait station. It’s very unusual,” he said. Mike says property owners should take preventative measure to ensure they don’t get a cockroach problem. 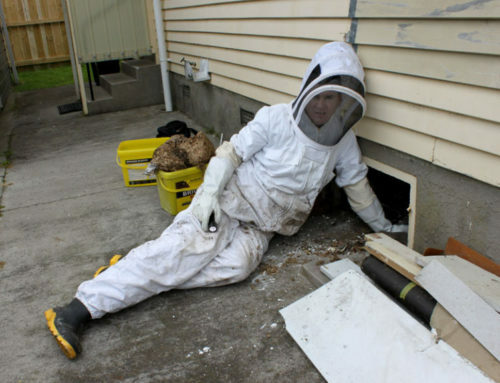 PestNZ can offer a comprehensive Pest Control Management Programme. “No one wants to encounter cockroaches. People can take some simple steps to lessen the likelihood of getting a cockroach problem. “Check your storm water drains as they often come up through drains into the kitchen sink. Cockroaches can easily get into plumbing and the first sign is of problems is when you see them emerging in the kitchen sink. Cockroaches prefer damp, dark places. They are often found inside walls, behind household appliances and in cupboards. They thrive in warm and damp conditions and will dehydrate if the environment is too dry. However, they can survive in extreme conditions for short periods. 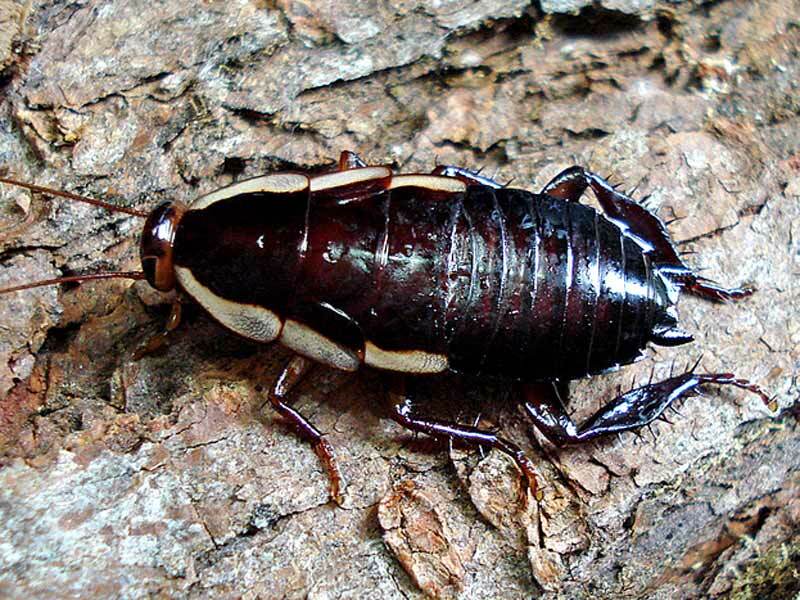 Cockroaches can survive months without food and up to four weeks without water. This makes them very difficult to get rid of. 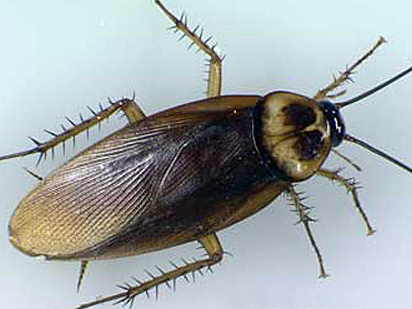 Cockroaches can transmit diseases such as dysentery, salmonella and diarrhoea. Their eating habits also expose humans to dangerous diseases. Cockroaches eat a range of foods, from faecal matter to fresh food intended for people to eat. They can grow up to 4cm long. They have a distinctive yellow band around the thorax. American roaches take 6-12 months to mature. The female may lay up to 50 egg cases containing as many as 25 eggs each, so nymph numbers can rise rapidly in certain conditions. In the warmer parts of Northern New Zealand they can live outdoors as well as indoors. 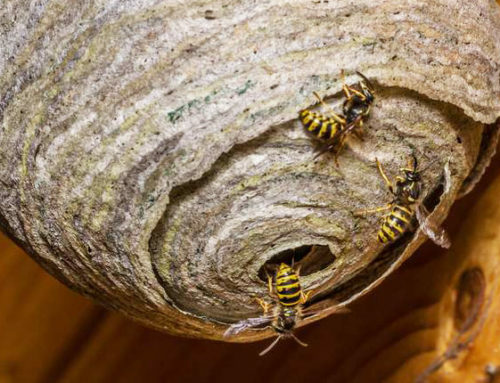 They are found in wall cavities and sub-floors and are often found around sewers and drains. They can easily can spread disease organisms. They are found in logs and leaf litter, under loose bark. Most of the species favours damp, dark habitats. They are not a household pest. They are usually introduced into a house usually by firewood. They are omnivorous, and may feed on all sorts of organic materials. They can even eat dead wood, which they digest with the help of symbiotic gut flora. Dispose of rubbish and food waste from the home quickly and efficiently. If you already have cockroaches, you might need to set baited traps or apply an insecticide to the area. Insecticides work best when applied to areas where cockroaches hide during the day or where they pass through at night time. It is vital to keep your home clean and dry to stop you from getting cockroaches in the first place. 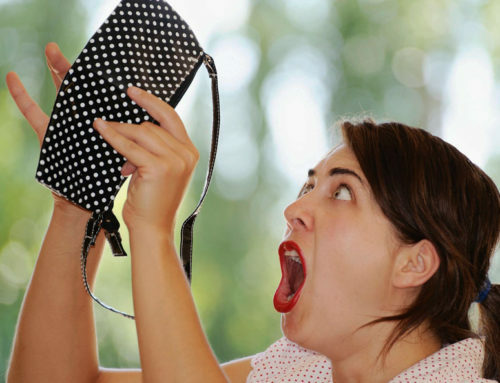 Is your bag carrying a creepy-crawly hitchhiker? 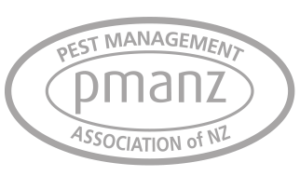 Mike Wills is a registered technician with Pest Management Association of New Zealand (PMANZ).